At 30 years old, Carl “C.J.” Appleton’s age alone would put him in the nontraditional college student category. But C.J.’s story—which includes many highs and lows—defies expectations, making him a great example of the Lewis & Clark spirit of exploration and discovery. C.J. earned a 3.9 GPA at Portland Community College before transferring to Lewis & Clark College. He’s a two-sport student athlete who plays tight end on the football team and starting forward on the men’s basketball team. “I consider C.J. an unbelievable person,” says Lewis & Clark’s football coach Jay Locey. “He is one of the most enjoyable players I’ve ever coached. 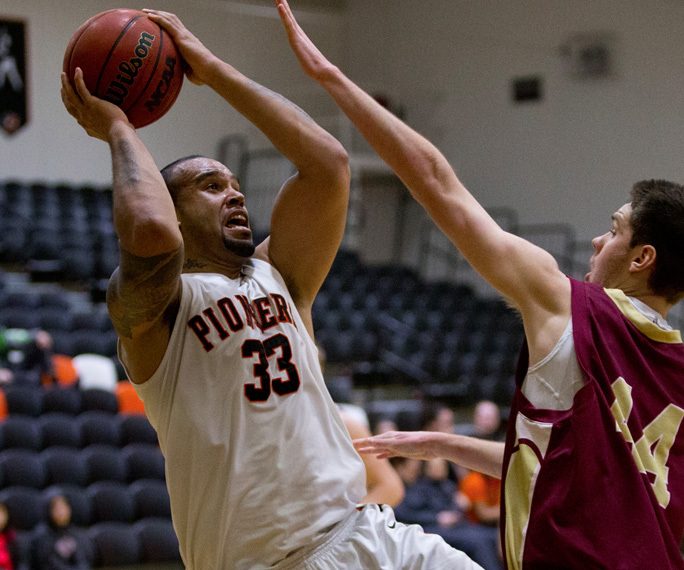 He has a new lease on life, and he’s living it in a big way.” As a sociology major with an eye toward graduate studies at Lewis & Clark’s Graduate School of Education and Counseling, C.J.’s story has plenty of writing left to do. Read C.J.’s full story in the Portland Tribune here.